Picture this. 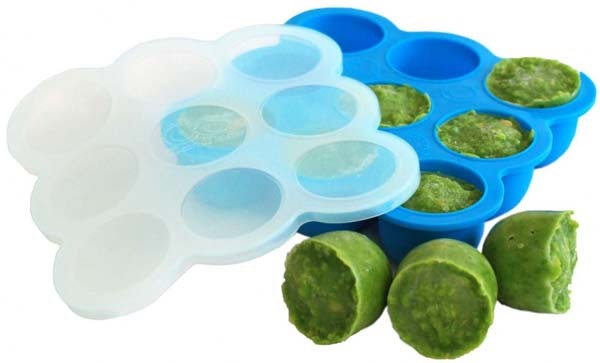 You need one little cube of pureed apple from the ice tray so you give it a gentle tap against the sink. 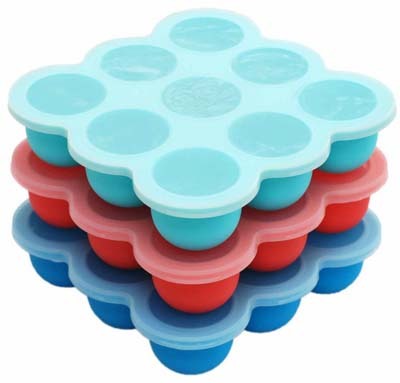 Of course, the ice cube tray releases all its contents, sending frozen apple cubes bouncing in every direction around the kitchen. Wean Meister‘s new Freezer Pods will put an end to all that. Designed by a mum fed up with the usual ice cube wrestle, the Freezer Pod is made from beautifully flexible and chemical free silicone to make getting the contents out much easier. Perfect for breast milk and solids, each Freezer Pod holds nine 75ml capacity portions and has a lid to keep your baby food fresh. Simply fill, freeze and stack! It’s worth mentioning too that the Freezer Pod can be used after weaning as a muffin baking tray, jelly mould, craft bits holder or excellent storage for Barbie accessories. Available in blue, coral pink and turquoise, they cost $22.95 each or $39.95 for a set of two from Wean Meister. Delivery to your door is available, so get cooking!